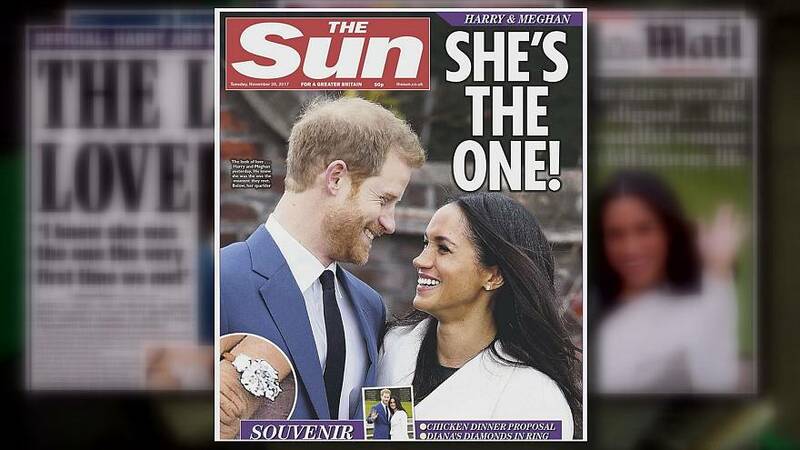 The engagement of Prince Harry to Meghan Markle dominates the front pages of newspapers in the UK. And it is big news in the United States too. Dedicated royal watchers braved the cold outside Kensington Palace to share their joy at the announcement. One self-professed royal superfan, Margaret Tyler, was delighted: "Well it's a happy occasion. isn't it? I think we deserve that," she said. "It cheers everybody up, it cheers the whole country up. And Americans I'm sure will be over the moon, the fact that one of their girls is marrying into our royal family. It's wonderful, isn't it?" And Across the Atlantic there has been excitement as well as some philosophical analysis. Opeola Bukola in New York said: "I have a tendency to think the royal family is, like, very antiquated and I think very old school," she said. "And Prince Harry has really defied that in a lot of ways. And I think that this is one of the ultimate ways. This is something that I can't imagine his family is necessarily completely bought into, but, you know, as the son of Princess Diana who is this dynamic figure, I think it's a really amazing way to kind of honor her legacy." One tourist from Georgia, Carol Childs, suggested it was a very international occasion. "This multi-nationalism is and is very, very important because it shows that the world is more of a whole thing where you have to include everybody," she said. At New York's British themed shop and restaurant, Tea and Sympathy, the owner, Nicky Perry, said it was a chance to reflect on how the royal family is modernising. "That wouldn't have happened 50 years ago. It wouldn't. Divorced, black, American, no. So, times are changing. Mr. Trump," she said. It is widely being seen as a chance for the whole world to become part of a very British institution.